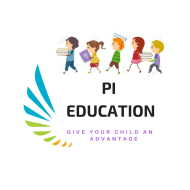 PI Education is a growing institution which aims to provide a student to enhance their academic capabilities.With teaching experience of over 6 years in CBSE curriculum , excellent faculty and infrastructure a student is able to learn , grow and develop his skills.We aim for overall development of a student academically. Since classes are conducted in small batches , every student gets supervised and attended. Coaching of English , Maths and Science from VIII to X std according to CBSE curriculum. Limited Batch strength (10 Ã¢?? 15 max). Weekly tests to evaluate the progress. Personalized feedback to parents regularly. Questionnaire , Quizzes , Model Test Papers , Last year Papers to be solved. Admission open for classes VII , IX and X. Limited seats available. Hurry Up ! PI Education conducts classes in Class 10 Tuition, Class 6 Tuition and Class 7 Tuition. It is located in Kancharapalem, Visakhapatnam. It takes Regular Classes- at the Institute and Online Classes- via online medium.